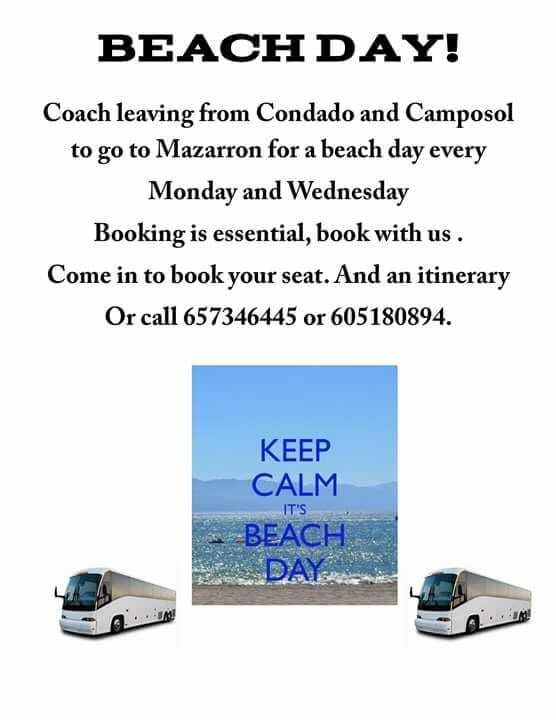 Here is the latest Taquilla Tickets beach day coach timetable from Condado de Alhama and Camposol. Booking is essential, contact Taquilla Ticketsor pop into the office next to The Clover Bar in Al Kasar. Please Note, the last service runs on 12th September.